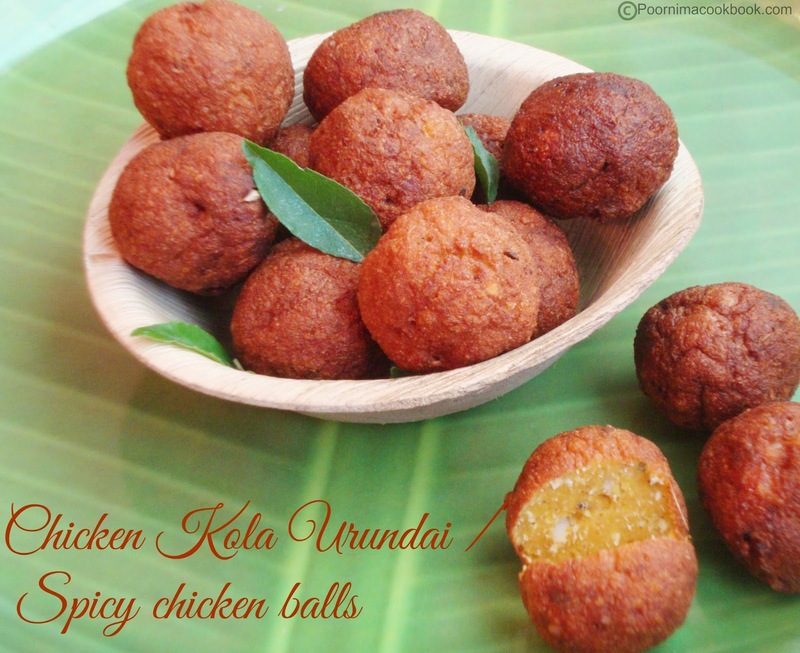 A yummy twist to the chettinad special kola urundai by using chicken instead of meat! I am sure it is going to be a treat for chicken lovers especially kids! 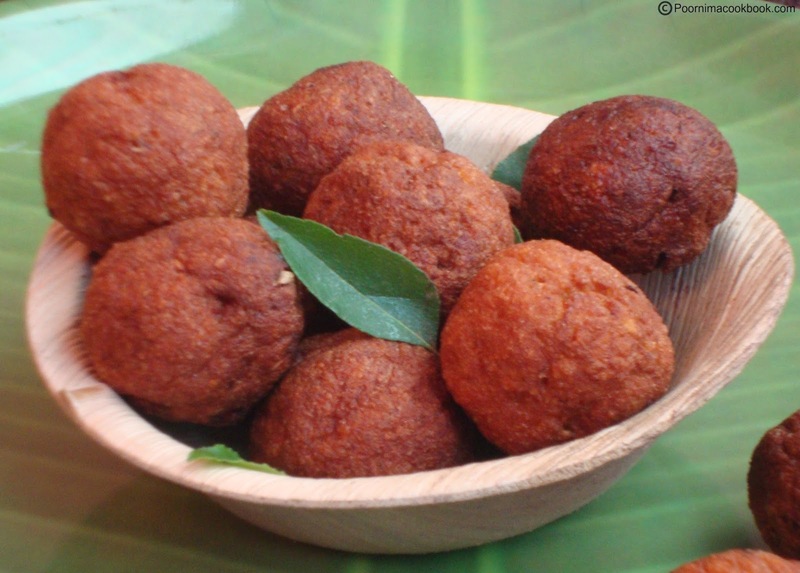 You can have this tasty chicken balls as a snack or side-dish for meals. Try this and give your feedback. Add all the ingredients except oil in the mixie / blender with very little water and grind it till blends well. Transfer the ground mixture into a bowl and make lemon sized ball out of it. if you are using minced meat, add that in the mixie at the last stage after grinding all the ingredients. use viper mode to blend. Instead of adding red chilli powder you can substitute with red chillies. Looks really perfect & delish !! Thank you for the fantastic recipe. I tried it and was awesome. Since i used minced chicken, i ground the other ingredients and mixed that and the chicken by hand. Thank you so much for appreciation and also time taken to visit my blog. Felt very happy that you liked the taste.